The father of one of the UCLA basketball players arrested on suspicion of shoplifting while on tour in China isn't praising President Donald Trump for his involvement in their release. When asked by ESPN what role the president played in brokering his son's freedom, LaVar Ball — a former basketball player himself and star on the Facebook reality series "Ball in the Family" — responded with his own questions. "Who? What was he over there for? Don't tell me nothing," Ball said. "Everybody wants to make it seem like he helped me out." Ball in EPSN's report on Saturday also downplayed his son's theft, arguing that "one bad decision doesn't define him." Trump told reporters he had discussed the basketball players' fate during a meeting with his Chinese counterpart, Xi Jinping, last week, before tweeting a message to the young men on Thursday. 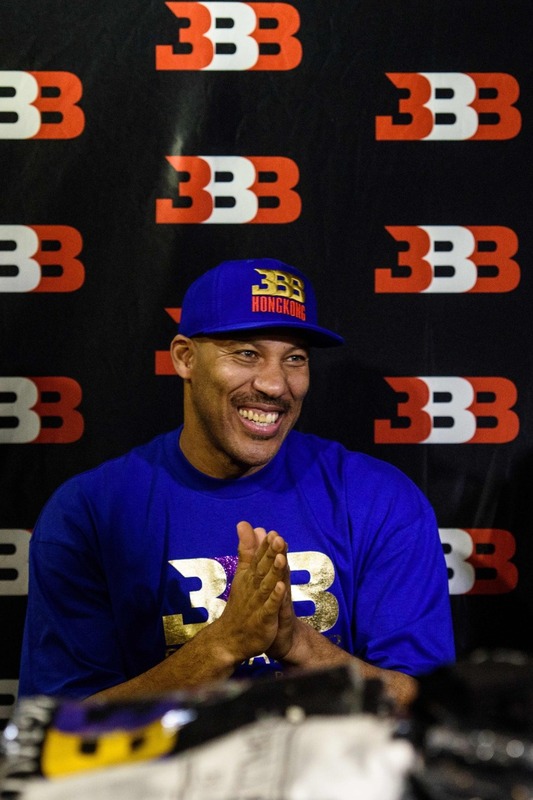 LaVar Ball, who is also the owner of the Big Baller brand, told ESPN that as long his son was home, he was fine, adding that people "try to make a big deal out of nothing." "I'm from L.A.," he said. "I've seen a lot worse things happen than a guy taking some glasses."